Since 2012, Ukip has been doing much better. They hit a high of 27% at the Eastleigh by-election of 2013 and 24% in South Shields the same year. A succession of good election results at local and national, especially in Westminster Parliamentary by-elections, has catapulted Ukip onto the national stage. And then Nigel Farage scored two triumphs in televised debates against Nick Clegg. However there is another side to Ukip that only occasionally, briefly, gets noticed. All Political Parties have edges, but for the major ones involved in British political debate these are regularly exposed. Rightly so, for if people are to get a fair picture of what a political party is like - and more importantly what they would be like in power - then the truth must out. The future of Britain is too important to treat lightly or flippantly. It is time to take a cool look at this relatively new kid on the block and to discover just what is the Trouble with Ukip? David Stepney is an experienced commentator on British politics. He has served on a local council, stood for Parliament, been on the campaign team of key leading personalities and been at the very heart of one of the UK’s biggest political parties. 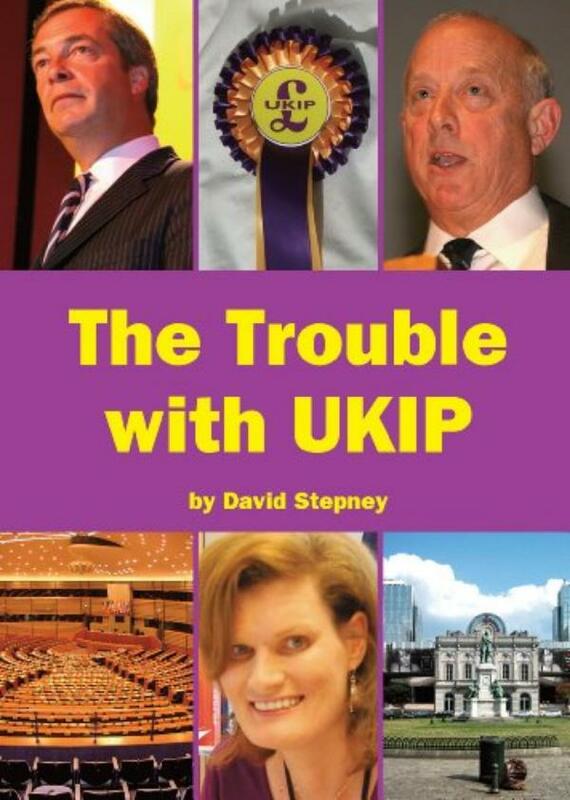 David Stepney is a pseudonym.